Not much to say in this post... 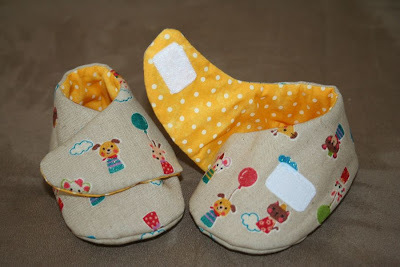 I have made these booties many times before (they are usually my 'go to' gift for a baby shower or new arrival). I made these last Friday night when I was feeling bored and my hubby was flicking between two codes of footy on the TV. I made them to go with the sleeping bag at my friend's baby shower. I have no idea of the fabrics. The outer is a really cute Japanese print that mum picked up for me when she was last there. It's hard to tell in the photo but the balloons and animals' outfits are actually glitter. 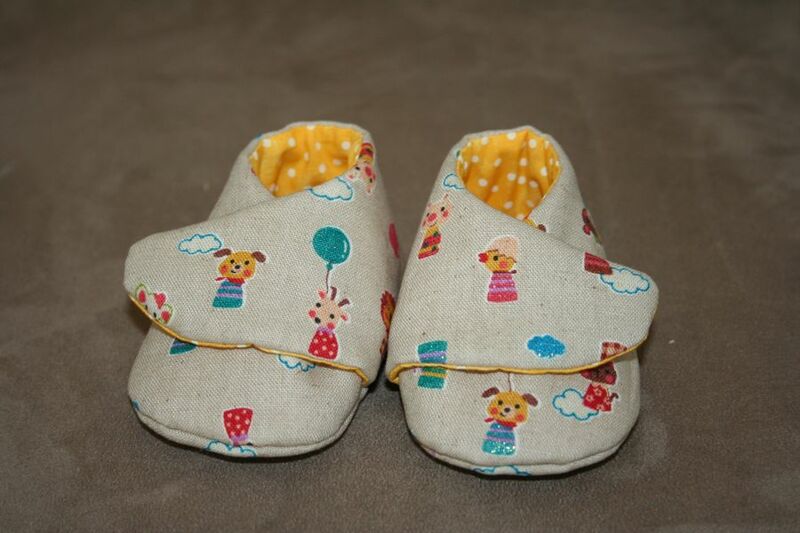 Cute :) The lining is something that has been languishing in my stash of scraps. Wish they were bigger to show off more of the print. They close with velcro. Snaps work well too, but are obviously visible on the outside. These are so cute, are they hard to do?